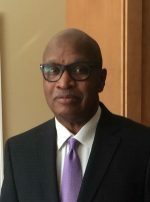 Professor Lawson received his Ph.D. in Philosophy from The University of North Carolina in 1980. He was the first African-American to receive a Ph.D. from the Philosophy Department. His areas of academic specialization are African-American Philosophy and Social and Political Philosophy. His published works include Pragmatism and the Problem of Race, (2004) edited with Donald Koch, Indiana University Press; Faces of Environmental Racism, Second Edition, (2001) edited with Laura Westra, Rowman & Littlefield; Frederick Douglass: A Critical Reader, (1999) edited with Frank Kirkland, Blackwell, Between Slavery and Freedom (1993) co-authored with Howard McGary, Indiana University Press and numerous scholarly articles. His current research includes editing an anthology with Professor Celeste Bernier on Frederick Douglass’s writings on photography and the use of his photographic image. He has testified before a United States Congressional Subcommittee on the issue of Welfare Reform. He was a 2011–12 University of Liverpool Fulbright Fellow, Liverpool UK. He is a US Army Vietnam Veteran (1967–69) and a member of Alpha Phi Alpha Fraternity, Inc. He is married to Dr. Renee Sanders-Lawson, a member of Alpha Kappa Alpha Sorority, Inc. They have two sons, William and Omar.